In a trade craft associated with seemingly inexplicable charges and “nebulous” service fees, Flood Brothers Plumbing has adhered, from its earliest beginnings, to building TOTAL TRUST through TOTAL TRANSPARENCY. 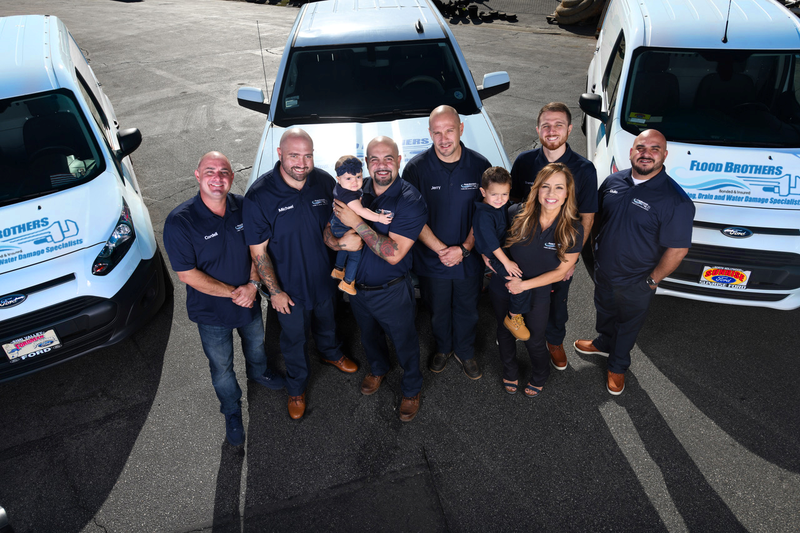 As a family-owned and operated plumbing business, we know our clients in Studio City CA are not just faceless dollar signs, but families just like our own, and as a result, we treat them as such, providing, first and foremost, long-term customer satisfaction. Built from a single truck, as a one-stop service provider for challenging sewer and drain clearing issues in Studio City, 3rd generation plumbing journeyman Giovanni Longo has built Flood Brothers Plumbing into THE GO-TO EMERGENCY PLUMBING choice in Studio City, CA specializing in catastrophic FLOOD damage, drain back-ups, sewer emergency solutions as well as a broad range of plumbing repair and re-pipe services for both residential and commercial properties. Beyond being licensed full service plumbing contractors in Studio City, CA. Flood Brothers technicians are also trained and certified in water damage restoration. We only provide the very best quality workmanship, combined with a fair upfront pricing model. 855.840.7800 or click for IMMEDIATE 24/7 plumbing services in the surrounding Studio City, CA area. When major root intrusions have caused your home’s main sewer line to backup, causing raw sewage to flood your Studio City, CA property, Flood Brothers Plumbing has the know-how and state-of-the-art technology to deal with the most catastrophic flood related emergency. Our goal is to present you with the broadest range of possible options, so that you may opt for the best one that fits your budget and overall circumstances. From Cable Snaking to Hydrojetting, Flood Brothers has the tools and technical expertise to solve your Studio City, CA drain cleaning and rooter EMERGENCY AS FAST AS POSSIBLE. When faced with any floodwater damage, particularly from raw sewage, decisive response is crucial. A delay of mere hours can considerably raise the severity of your property damage. Flood Brothers’ CRITICAL RAPID RESPONSE Plumbers will not only respond almost instantly to any flood incident in Studio City, CA, but with state-of-the-art hardware and systems in place to remove vast quantities of water FAST from your Studio City, CA is better equipped than most to mitigate flood damage to virtually any residence or commercial property in the Studio City area. When a devastating flooding occurrence strikes your Studio City, CA home or commercial property, Flood Brothers has the solution… and when you’re impacted by water damage, even minutes are of the essence. Our plumbers use state-of-the-art suction systems and industrial pumps to get rid of water from even the most difficult to reach places. We also use commercial structural dryers and dehumidifiers to swiftly stop the danger of mold propagation and structural damage. Water damage incidents are surprisingly traumatic. Flood Brothers Plumbing understands this first hand. Our EMERGENCY CRITICAL RESPONSE HOTLINE is staffed 24/7/365 with extensively trained Water Removal and Extraction professionals ready to dispatch our Studio City RAPID RESPONSE TEAM to your home or business night or day year round. Flood Brothers Plumbing proprietary water damage abatement protocols start with a well-organized, multi-point inspection of your property, including a detailed damage assessment. We isolate the source of the water infiltration and stop it at its point of origin, determining quickly if there is also any biohazard. The specific nature and source of water contamination normally determines the specific processes used to restore a property back to normal. Our Studio City, CA RAPID RESPONSE Water Removal and Extraction Plumbers will also relocate your furniture and its contents to help lessen possible rust or furniture stains on wet carpeting, which commonly occur in flooding related circumstances. If your home has been damaged by rainwater, short-term, protective measures are also deployed to prevent further damage, e.g. the placement of special industrial-grade roof tarps, board-ups and temporary fencing. Flood Brothers’ RAPID RESPONSE TEAM is trained and equipped to offer these services with swift tactical precision throughout Studio City, CA. Flood Brothers’ water extraction methodology removes nearly 100% of the water from your property. By performing an exhaustive water extraction, our RAPID RESPONSE TEAM reduces critical drying time and helps preclude the formation of mold. Flood Brothers’ truck-mounted, mobile, vacuum units, have the capacity to rapidly remove thousands of gallons of water. Depending on the quantity of water in your Studio City, CA residence or commercial property, submersible gas-powered pumps are also deployed for continous EXTRACTION of high-level water. Infrared cameras are also used to discover “hidden” water in walls and ceilings. After the completion Phase 1 of the water elimination phase, sub floors and walls are visually inspected by our Water Mitigation Professionals. Carpet and pads are typically lifted to establish need for removal, while moisture detectors and hygrometers are used to determine the level of water saturation. Most building materials are very porous and drywall as well as wood hold considerable moisture. Any retained humidity, that is not fully extracted and eliminated, will cause these particular materials to swell, cup, warp or bow, encouraging the growth of mold. Flood Brothers’ water Remediation and Restoration Team will carefully control both indoor temperature as well as internal relative humidity, using high-speed air movers, to create a calculated airflow across all surfaces, from walls to carpets and pads, as well as furniture, accelerating the evaporation process. Dehumidifiers are also used to remove the remaining moisture and any water retained within the building. Water flooding, (particularly sewer related,) requires some variety of odor removal and deodorization. Wet materials routinely leave an unpleasant “wet-dog,” moldy smell and Flood Brothers’ Water Remediation and Restoration Plumbers are trained to identify and eradicate all offensive odors from water damage. By using industrial air scrubbers, and in the case of biohazard exposure, antimicrobial, antibacterial, or disinfectant treatments, Flood Brothers effectively treats serious and lingering smells as well as all the bacteria left on your property. NEVER take short cuts when it comes to any form of leak detection and the actual repair or re-piping. In the case of gas in particular, you may be placing your loved ones’ lives at risk. If you suspect you may have even a minimal gas leak or a water leak, Flood Brothers Plumbing has the tools and knowhow to accurately pinpoint and quickly fix it before it deteriorates into a catastrophic event. All Flood Brothers Plumbing re-pipes and installations come with a free leak inspection. Before you can implement a plumbing solution to any water stoppage, you must first know the TRUE nature and source of the problem. The best course of action is to always visually assess the area first. Flood Brothers’ digital sewer and drain-imaging system allows us to see and show you, in living color the exact cause and extent of the blockage. This also permits us the ability to provide you with the best options; with complete transparency. No surprise hidden costs, no mysterious service fees. What you see is what you get. Cable Snakes are the industry gold standard for rooting. What is a Cable Snake? A Cable Snake is a high-powered machine engineered to drive an industrial grade, steel cable, tipped with a fast rotating, bladed head that shreds roots and blockages while clearing your line. When intrusions from older tree roots or any vegetation are so severely compacted that cable snakes can’t bite into the root ball, Flood Brothers Plumbing uses Hydrojetting and special steel tips that “jet” water at 3000 lbs. of pressure per square inch which effectively shears through the most stubborn roots like a laser beam. When sewer line replacements are unavoidable at your Studio City property, Flood Brothers Plumbing offers the latest alternative to the normally disruptive and expensive excavations characteristically needed to extract and replace a main sewer line. Flood Brothers’ trenchless technology can provide you with an efficient solution that will not only save you time and money, but the inevitable stress caused by severe damage from tearing up your front property. Be it conventional gas water heaters or state-of-the-art electric and tank-less ones, Flood Brothers Plumbing will analyze your Studio City home or commercial property configuration and advise you as to which type will best and most cost-effectively serve your needs. Whether you opt for the gold standard copper, or the newer and more affordable PEX (polyethylene) to re-pipe your home, apartment building or commercial property, Flood Brothers Plumbing includes a no charge comprehensive appraisal as to which would be best suited for your Studio City, CA property. If you need your fixtures repaired or installed, Flood Brothers has the training to service them, regardless of whether they are stock or decorative, domestic or foreign. If requested, we will also work directly with your architect or interior decorating professional, offering you competitive wholesale pricing, on best-in-class vintage, modern or futuristic decorative fixtures and plumbing accessories. Gas lines can be hazardous if improperly installed or repaired. Gas is EXTREMELY volatile and DANGEROUS and should be treated accordingly. Caution should be exercised – ALWAYS – and you should call a Flood Brothers gas professional even for what may seem to be the slightest smell of natural gas. We are not only a licensed in California and experienced plumbing contractor, but our gas line professionals are second to none; trained for any type of gas repair and installation in Studio City, CA. With over 15 years plumbing experience, we know full well that if you have a sudden plumbing related flood crisis, or any type of catastrophic water damage, the last thing you want or need is more stress plus paperwork. 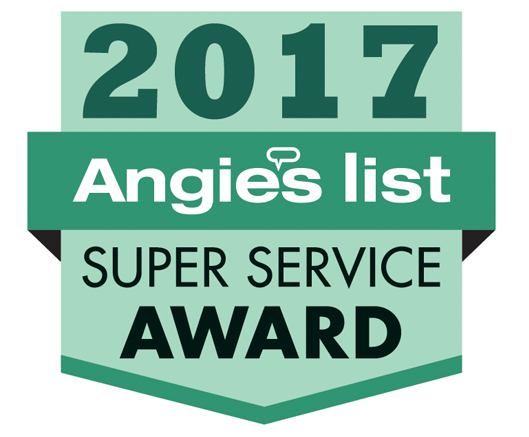 For this very reason, Flood Brothers Plumbing offers WHITE GLOVE CONCIERGE SERVICE. Our back office team will work, on your behalf, with your insurance carrier and make the process of getting the job done as easy as possible and stress free on you.